About Us, who we are! 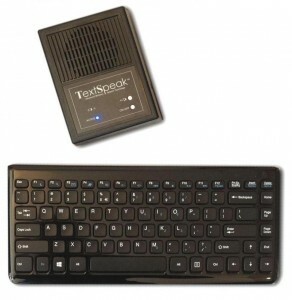 The TextSpeak TS-04 LK is a great choice for anyone with limiting typing skills or mobility issues. The large 20″ wide keyboard has 1″ keys for easy tactile typing. A great choice for patients who have typing due to mobility issues or poor vision. Affordable, powerful Easy – Speech Generating Device : TextSpeak offers THE solution for AAC augmentative communication when you are looking for a simple yet powerful speech generation device. Perfect for speech impaired individuals, post operative patients, or as a health product solution for anyone who needs an affordable voice generation device that generates synthesized speech. TextSpeak lets you choose the right keyboard. Rather than offer only one size keyboard we realize every patient has specific needs, typing skills and mobility issues. We have uniquely provided TextSpeak with several keyboard options to provide laryngectomy, cancer and aphasia patients the ability choose the right keyboard; one that may differ from a keyboard needed by stroke or ALS patients. 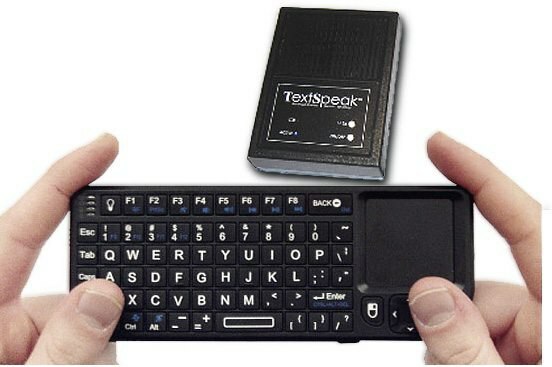 TextSpeak is the ONLY AAC provider today that offers both wireless portable AND large key keyboard speech solutions. We fit the needs of a cancer survivor who needs true on-the-go portability, or a stroke victim with moderate mobility impairments who still wants the freedom to type their words. Oversized keyboard is best for users with mobility and typing challenges. Simply turn on the power and start typing to talk!. Works without a PC, Simple to use! Nothing to learn, ready to work when you open the box! 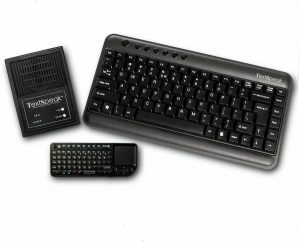 TextSpeak offers the most affordable keyboard AAC products today. Our technology is leading edge and we have designed TextSpeak to be reasonably priced. The know-how to do this has been years in the making. In 1996 we were issued our first patent and in 2006 our TextSpeak speech products were deployed in space by the Shuttle Discovery. When we chose to develop the TS-04 we focused on a design that was to be simple, affordable & effective and feel we are right on the mark. Learn more on our video demo pages!